Tonight, at 21:00 sharp the cult-status heavy metal band Divlje Jagode will take the stage at the Bdintsi square in Vidin in front of hundreds of fans. The concert is part of this year’s biker gathering. After several months’ search, the band now has a new lead vocalist. In recent year the bass player Golden Cehic and the lead vocalist Marko Osmanovic had left the band, which now features new recruits and new songs. The fans in Vidin will be hoping to hear some of the band’s biggest hits tonight Jedina moja, Motori, Piramida, Ne, nisam ja. 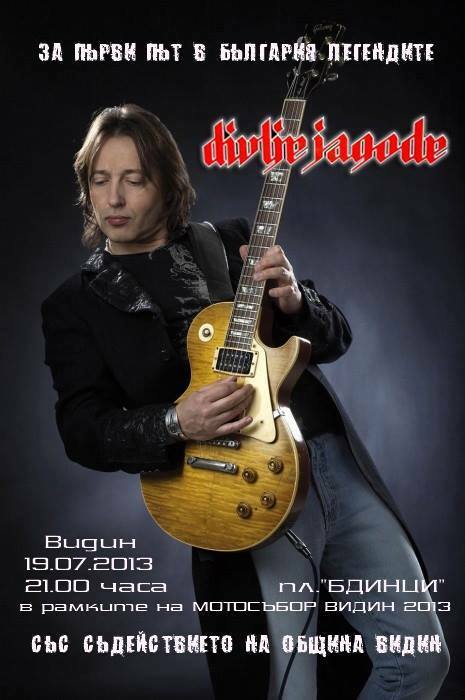 The rockers are also expect to perform their newest single Samo da znaš in Vidin. The band has its ardent fans in our site’s team – we will be there and will take photos from the concert of the cult-status heavy metal band.